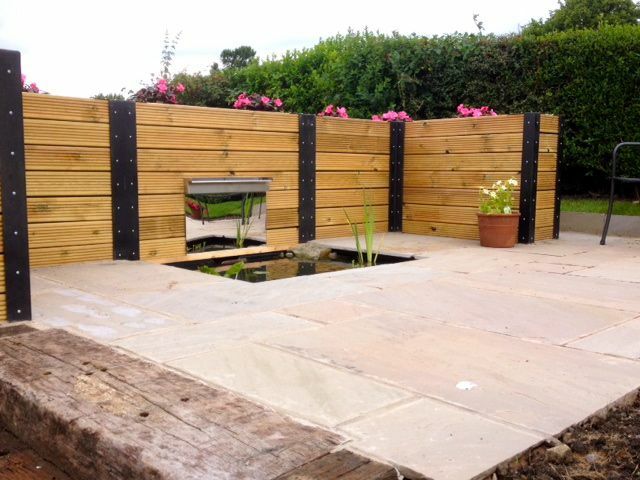 The area to be landscaped viewed from the side. The area to be landscaped viewed form the rear toward the house. 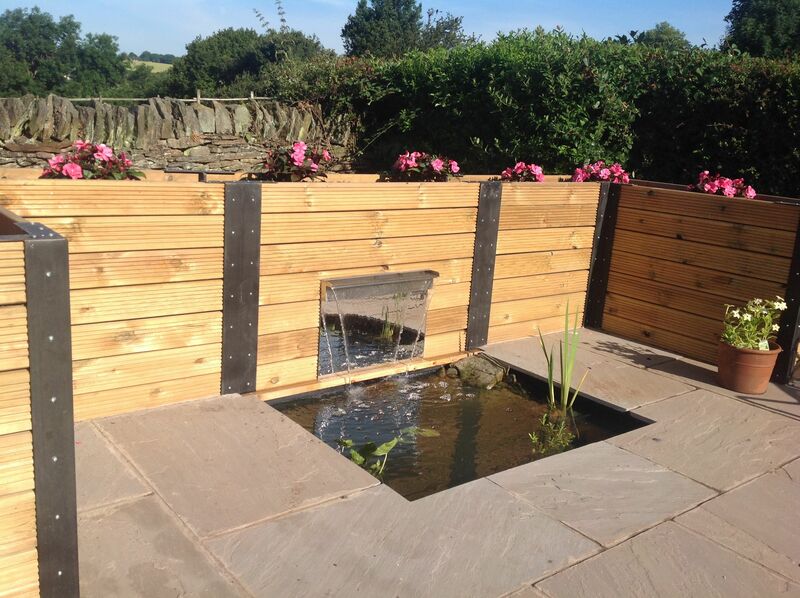 To create an area to relax with a pond and running water. 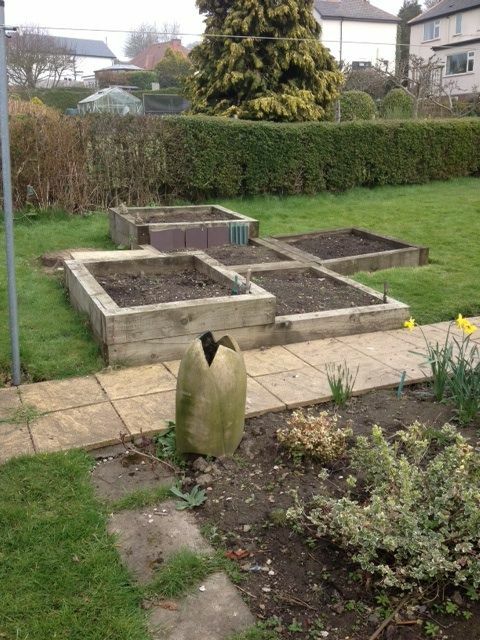 The area was in the bottom corner of the garden away from the house. 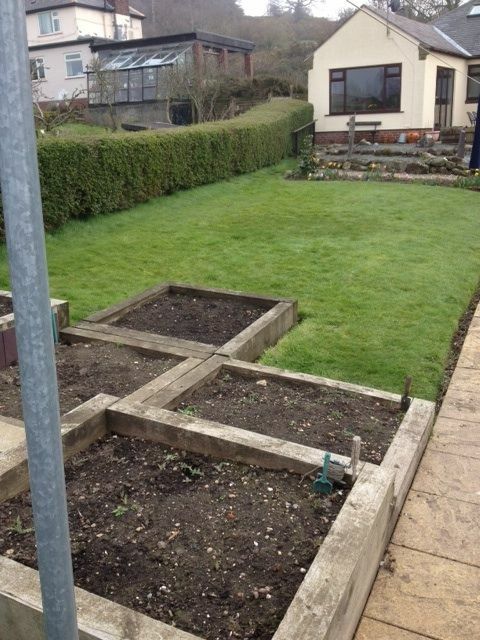 The area to be landscaped viewed from the house. 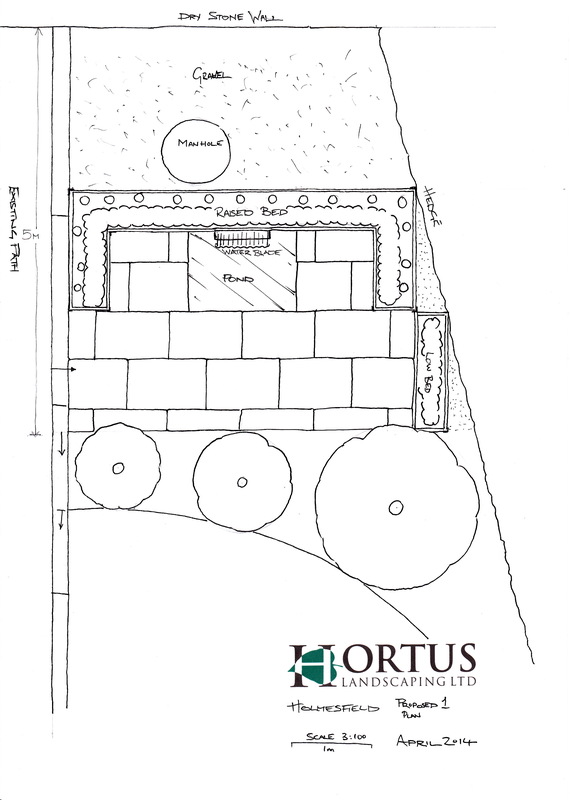 Plan design of paved area, pond,water cascade and raised beds. 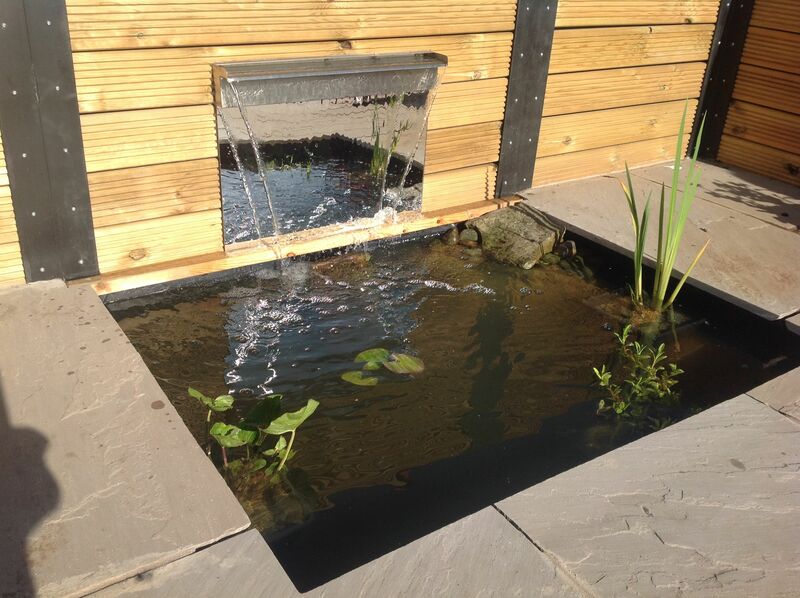 Following discussion with the client the following design was agreed upon. 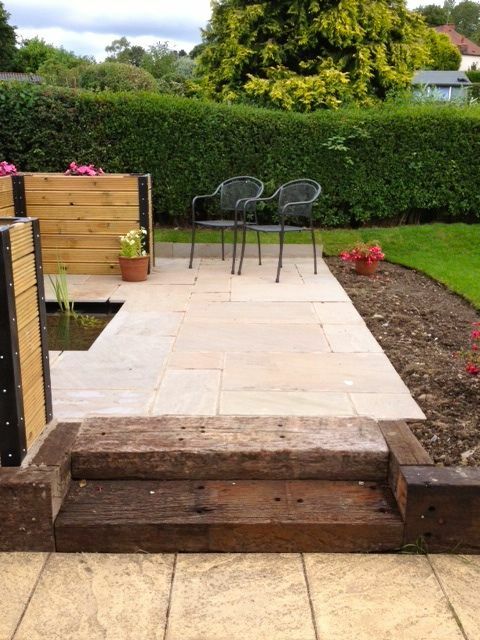 A small paved area with a pond centred against a raised bed constructed from deck board. 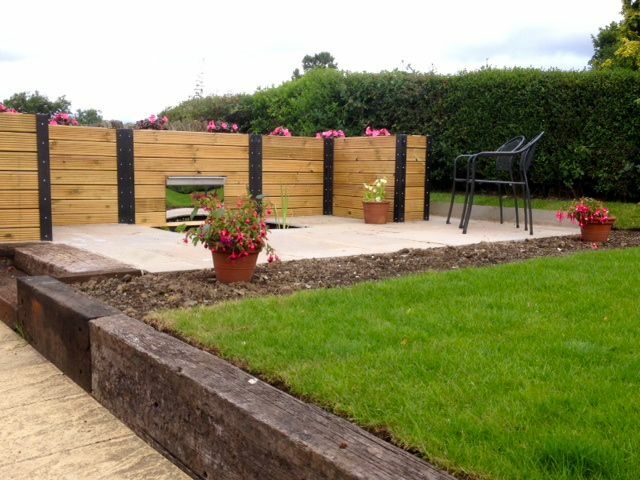 The raised bed was to be a sufficient height to hide the raised manhole cover at the back of the garden. 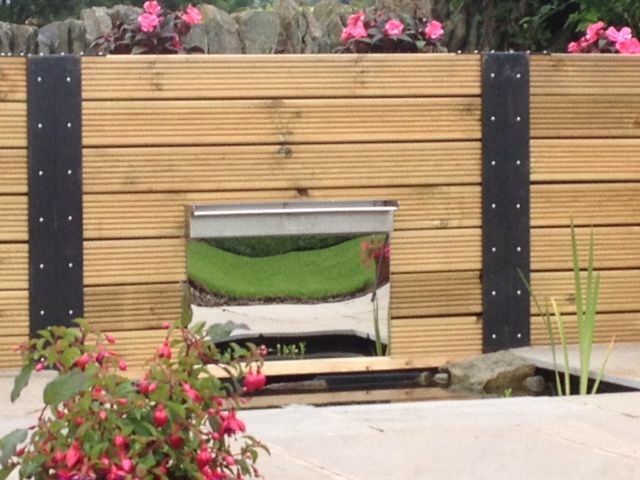 A stainless steel blade water cascade is shown allowing water to fall from the raised bed into the pond. 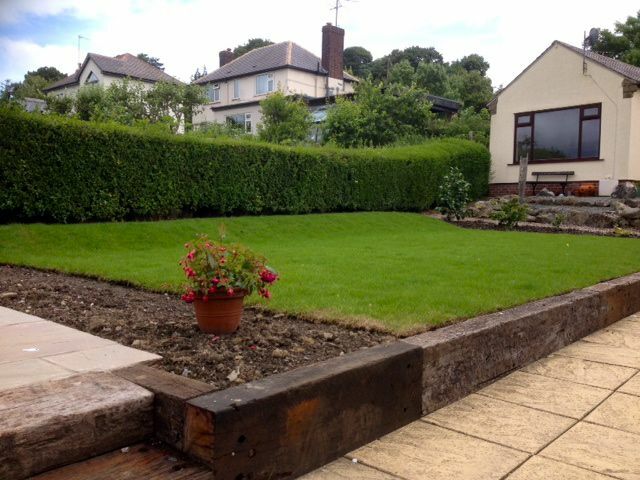 The grass in front of the landscaped area was to be levelled and relayed with new turf. 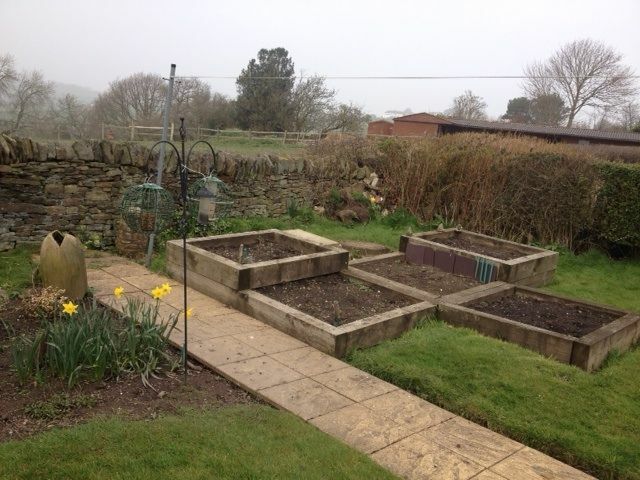 There were some minor changes to the plan such as laying turf to the area around the manhole, omitting the smaller raised bed beside the paving and the large curved bed was replaced with a smaller bed echoing the shape of the rockery by the house.